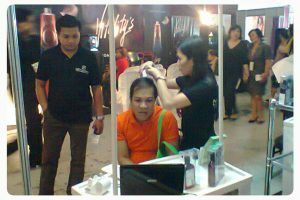 One of the value-added services that we provide in promoting hair and scalp health awareness, is through the free clinic activities that we conduct monthly on selected drugstores. These free clinics are intended to help you monitor the progress of your Novuhair treatment. Our trained promodizers will assist you in getting a closer look at the present condition of your hair using our hair and scalp analyzer. They will show your scalp’s captured digital images and the corresponding analysis. Your data will be recorded to our database for your future reference and monthly monitoring while using Novuhair. 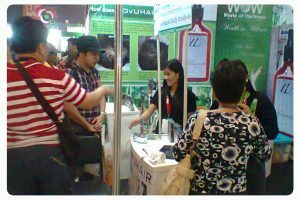 September 14-16, 2012: Watsons Market! Market! WATSONS PERSONAL CARE STORE, INC.
For more information, you may contact our hotlines: 0922.883.0575 or 413.6570 and look for Carol or Michelle. 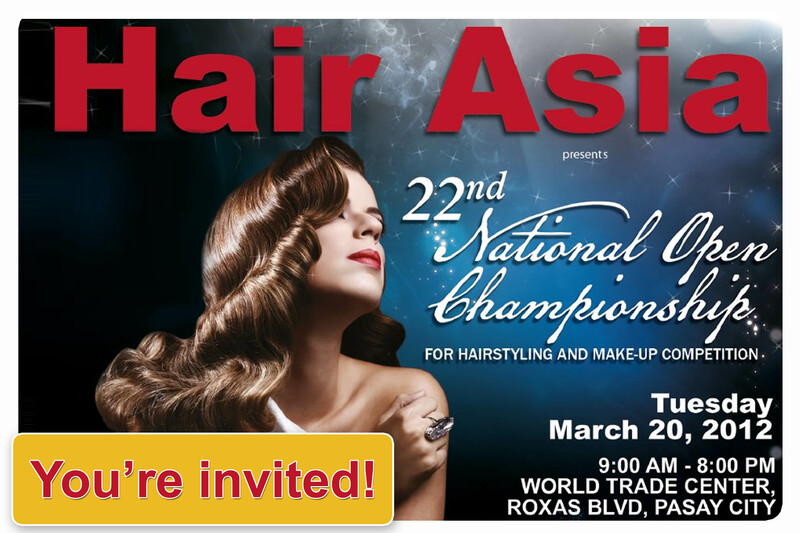 Hair Asia Inc. will hold its 22nd National Open Championship for hairstyling and make-up competition on Tuesday, March 20, 2012 from 9am to 8pm, at the World Trade Center, Roxas Boulevard in Pasay City. 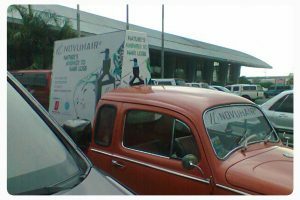 Novuhair will be conducting FREE hair and scalp analysis to all visitors and participants and provide a special discount to those who will purchase Novuhair during the event. 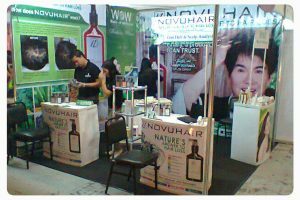 Novuhair’s booth is located at E42. See you there! GOOD NEWS! Salon owners and hairstylists can now recommend a natural, effective and safe solution to their clients, who are looking for the perfect answer to excessive hair fall, hair thinning, dandruff, bald patches and stimulation of hair growth. 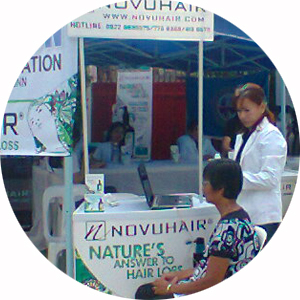 Novuhair is nature’s answer to hair loss! Novuhair is a topical scalp lotion, combining herbal extracts, essential oils and co-factor nutrients that have been proven for centuries to help hair problems particularly hair loss. Based on our clinical findings, non-progression of hair loss, prevention of excessive hair shedding and stimulation of hair growth can be achieved as early as 4 months with the consistent use of Novuhair. The result that can be achieved will depend on the amount of commitment that the user will give to the treatment while the extent of the treatment will depend on the damage of the hair. 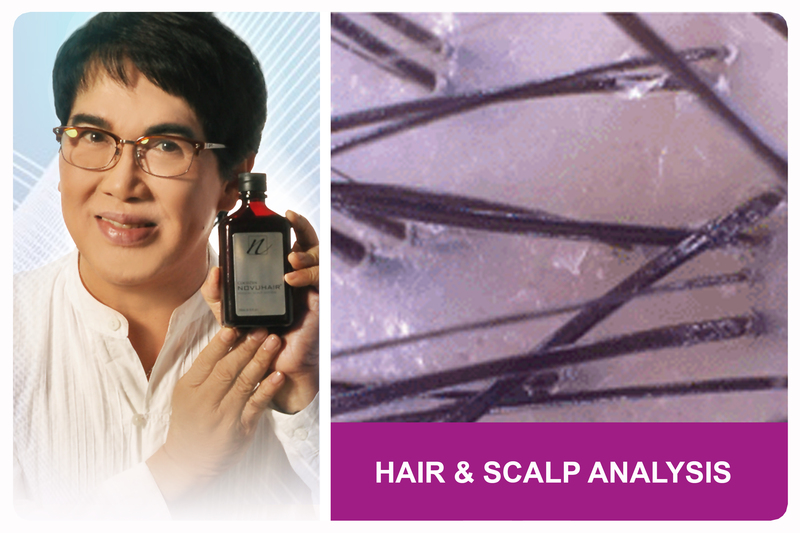 Visit our FREE hair and scalp analysis conducted at major drugstores. Check our monthly schedule and venues at www.novuhair.com and click the NEWS & EVENTS section. You can also LIKE us on Facebook. Simply type: Novuhair Official and be part of our growing community. For interested salon owners within Metro Manila area, discover how you can become a distributor of Novuhair and help your clients find the perfect solution to hair loss! You may contact 0922.878.0575 or 411.4448 local 115 and look for Raymond.